Hip replacement surgery operations were once reserved for elderly patients who could no longer walk and those with a traumatic injury to the hip joint. These days, hundreds of thousands of total hip replacement procedures are being performed each year, and the trend seems to be increasing every year. Doctors are performing the surgery on younger patients who have developed arthritis from sports injuries and normal wear and tear. With more an more people engaging in activities like long distance running, including running marathons, it is no wonder we are seeing higher rates of joint disease. While running may keep you get in shape, it can be very hard on your joints. Most doctors who perform these procedures are well-trained and competent surgeons who properly advise a patient of the risks and then perform as close to perfect a total hip replacement as possible. While there is going to a be a lot of pain and discomfort and a long recovery period, most patients end up very happy with the results. However, if the artificial hip device itself was defectively designed, there is very little chance for a successful outcome. To make matters worse, there is really no way for a doctor to prevent this when medical device companies that manufacture artificial hips are going to great lengths to avoid letting the United States Food and Drug Administration (FDA) know that a device is defective. 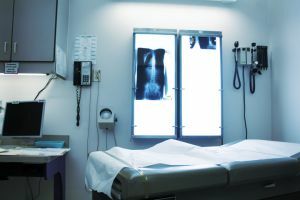 According to a recent news feature in the Louisiana Record, one hip replacement injury victim is suing Johnson & Johnson in order to recover for her injuries. The device in question is known as the Pinnacle hip implant. While the device was actually made by another company famous for making defective artificial hips, DePuy, Johnson & Johnson acquired DePuy in 1998, and the device manufacturer is now a wholly owned subsidiary of Johnson & Johnson. In his lawsuit, plaintiff filed claims for negligence, products liability, and a breach of the implied warranty. He is also suing the orthopedic surgeon who implanted the device for medical malpractice. A claim for breach of the implied warranty presents an interesting issue that you should discuss with your Boston hip replacement injury lawyer. This issue deals with whether the artificial hip is a product being sold to you or whether it is part of a service being performed by the doctor. If it is product, then the implied warranty of merchantability will apply, and the company can be liable for making a device that did not function as a working hip. This makes sense in a defective products case. The reason this has been controversial in the past, however, is because, in some cases, the medical equipment is considered part and parcel with the service, and other times it is not. For example, if you go to the dentist and he or she fills a cavity, there will probably be some type of numbing agent used, such as Novocain (really lidocaine as Novocain is no longer used). If there was something wrong with the numbing agent, you would likely have a case against the manufacturer, but that would not mean the doctor was selling you the product of lidocaine, but merely using it as part of a service. On the other hand, an artificial hip joint is more akin to a product.